Peter Yeung, General Manager of Gramercy Park Hotel brings over 17 years of operations leadership experience across seven states. 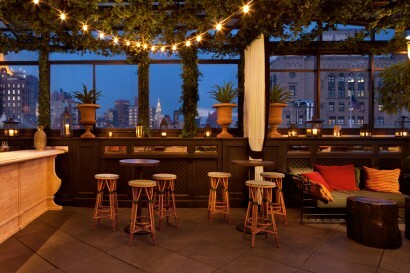 He was most recently with W Union Square as director of operations. 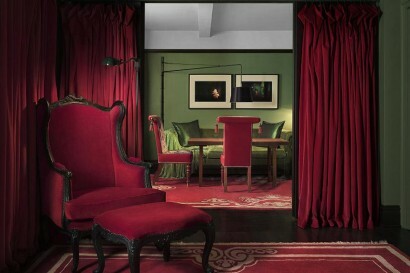 A member of Design Hotels, Gramercy Park Hotel is a boutique luxury hotel located in the heart of New York City. 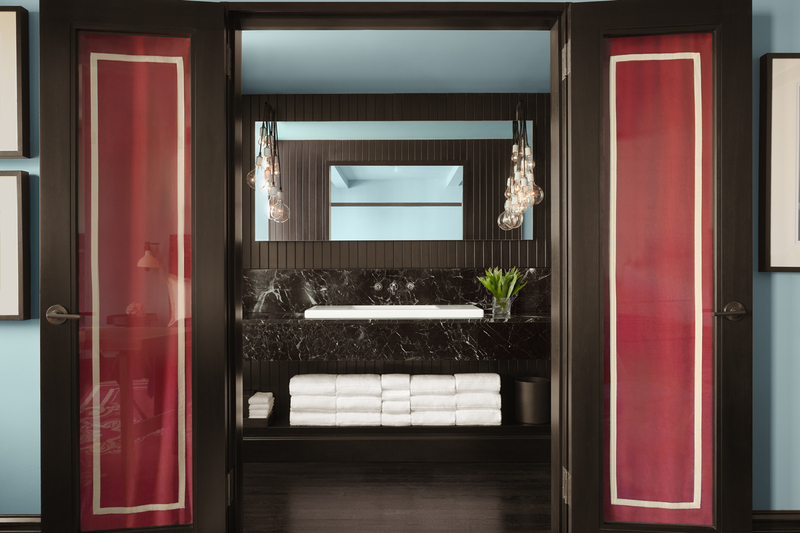 Gramercy Park Hotel has been home to creative minds and distinguished guests for nearly a century. The hotel is a modern grand hotel with a spirit of bohemia, with custom-designed furnishings and rotating collection of contemporary masterpiece artwork including from Andy Warhol and Damien Hirst. 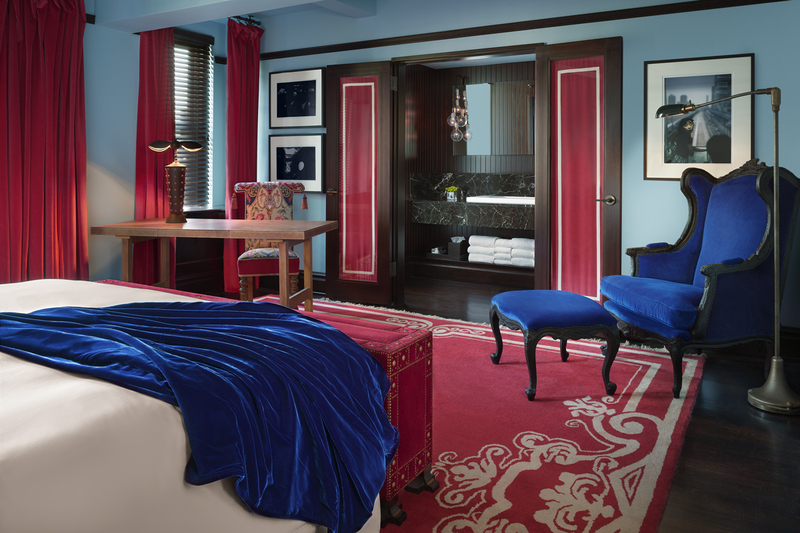 Every room is decorated in vivid Renaissance color palette and features unique luxury amenities and exquisite photography. In 2014, event spaces and fitness center were renovated to create a more optimal space for our guests. Guest rooms are continuously refurbished to maintain a high quality of standard and service. 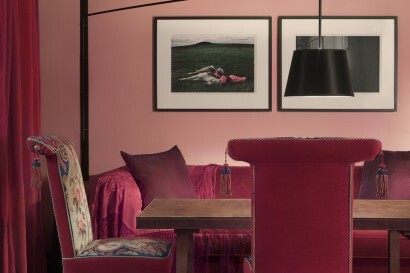 DESIGN: The Hotel in itself is a piece of art, designed by world renowned artist and Oscar-nominated director Julian Schnabel, with Renaissance colors and uniquely designed furnishings. ART COLLECTION: Gramercy Park Hotel offers a rare opportunity to experience museum quality art in an intimate environment. 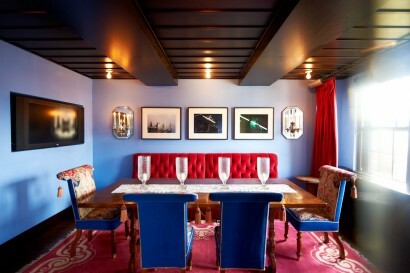 In its lobby, guest rooms, event spaces and bars, guests will find masterpieces by artists from Warhol to Damien Hirst. 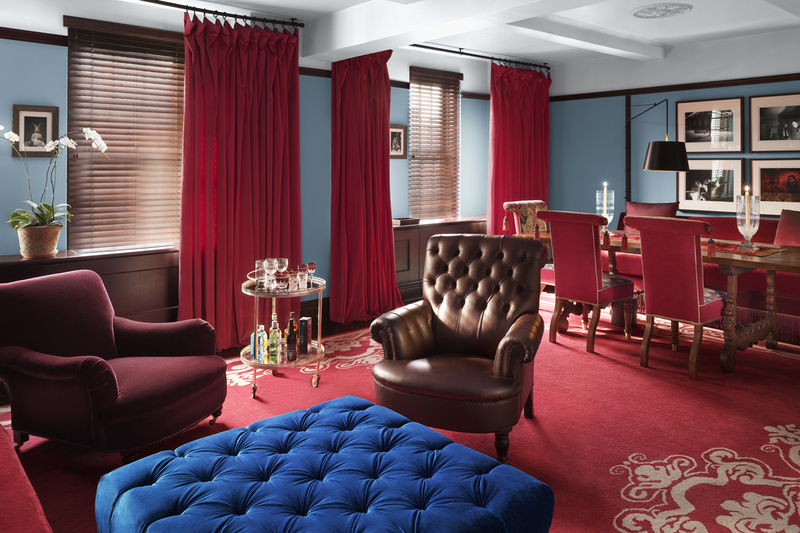 The works change regularly ensuring guests never experience the same Hotel twice. 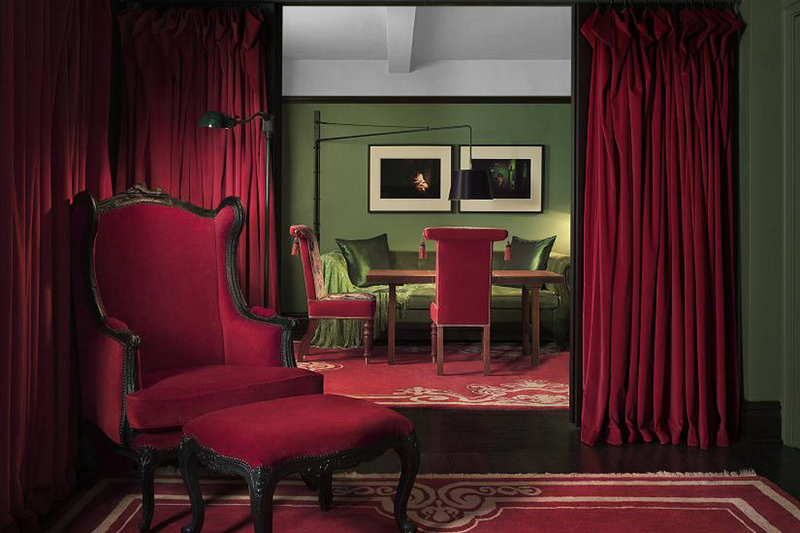 Gramercy in a quiet, tree-lined neighborhood alive with legend and history. Astors, Morgans, Rockefellers and Roosevelts all lived here, and their elegant townhouses aligning the park are still part of the neighborhood’s unique charm. 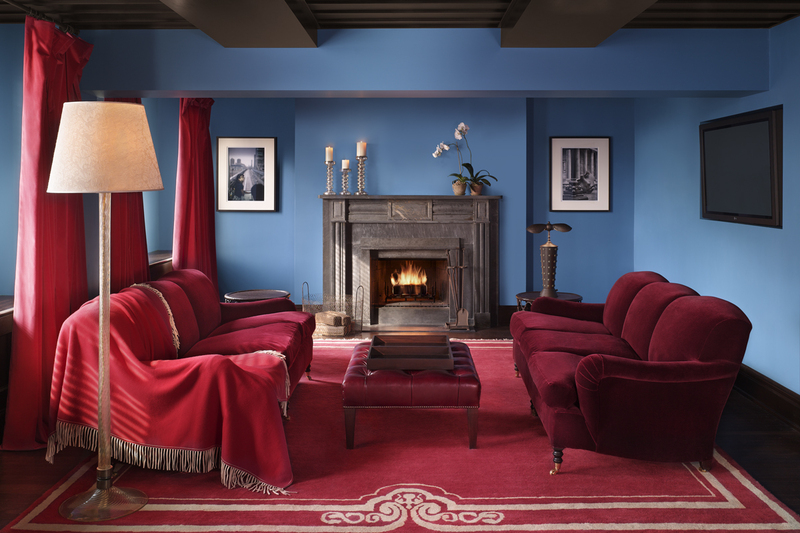 Guests receive exclusive access to Gramercy Park, the only private park in Manhattan. The hotel is, and has always remained, a destination of choice for artists, writers, fashion designers and musicians. The Rolling Stones, Bob Dylan, the Beatles and Bob Marley are just a few to have called Gramercy Park Hotel home, even if just for a few days. 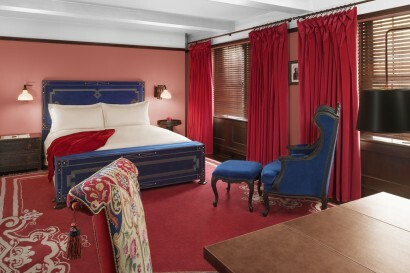 Blondie’s Debbie Harry and Chris Stein lived in the hotel, occupaying Room 501, and a young U2 were long-term guests. • Maialino – Gramercy Park Hotel’s restaurant is New York’s acclaimed Italian trattoria Maialino from restauranteur Danny Meyer’s celebrated Union Square Hospitality Group. 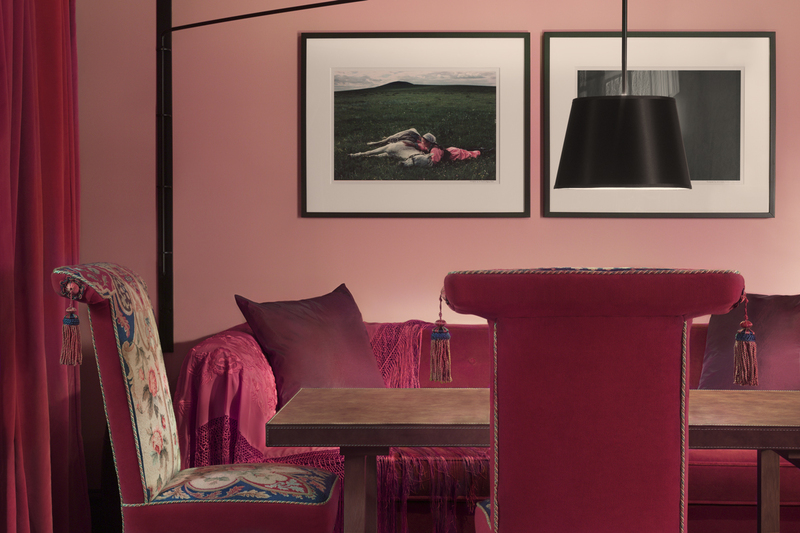 The elegant eatery, whose name means « little pig », captures the warmth and style of Rome’s traditional trattoria. 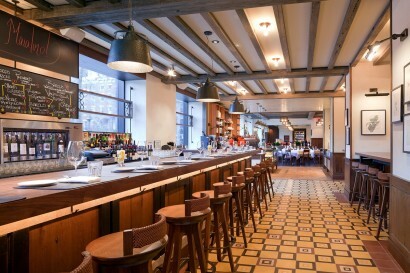 Maialino is open througout the day, service Breakfast, Lunch, Weekend Brunch and Dinner. 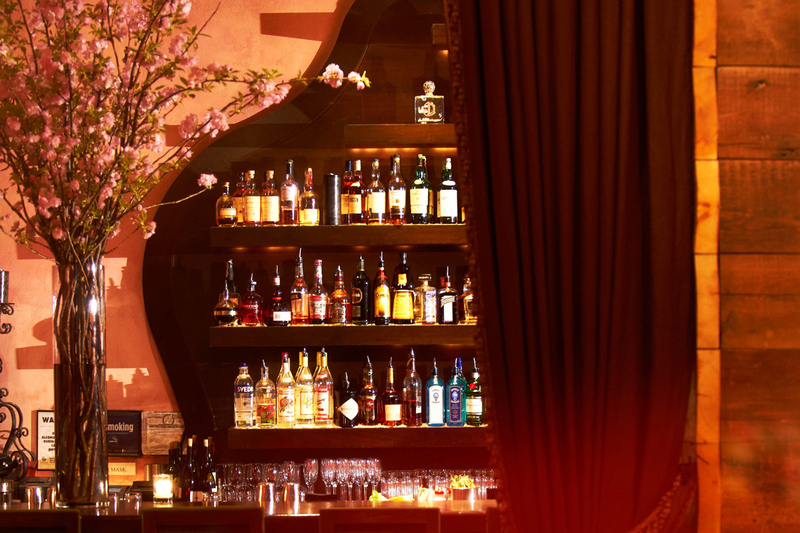 • Rose Bar – Serving as both a hotspot for the city’s most fashionable, talked about events and a low-key escape for A-listers looking for a cocktail, New York’s most prominent tastemakers flock to the exclusive Rose Bar. • Jade Bar – With views of Lexington Avenue, Jade Bar offers a calming and intimate spot for guests to enjoy snacks and cocktails from early afternoon. 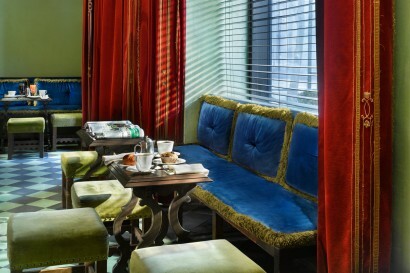 • Park Room accommodates 40 class room, 50 theater and 75 reception.